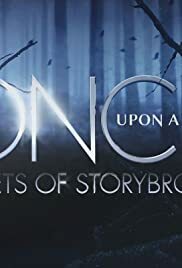 "Once Upon A Time: Secrets of Storybrooke" is a one-hour special that pulls back the curtain and takes viewers behind the lights and cameras to the fantastical worlds of the series, now in its fourth season. Narrated by series regular Jennifer Morrison who plays Emma Swan, the program will let viewers find out just what it takes to flip our most beloved fairytale memories on their head, from the writers, the actors and artists who really do make magic happen every day. Secrets about the show's visual effects, how costumes help shape a character and how a small town outside of Vancouver is transformed into Storybrooke will be revealed.